Avocado is most chefs’ favourite. It’s creamy and delicious, and makes a perfect addition for sushi, tacos, sandwiches, and many others. And health experts are loving it too. Just recently, a study found that eating avocado may help prevent risks associated with heart disease, including obesity, high cholesterol, and type 2 diabetes. A diet that’s rich in avocado had the most positive effects on cholesterol. According to the research, it boosts “good” HDL cholesterol levels and lowers “bad” LDL cholesterol level. This is important as high level of bad cholesterol is one of the biggest indicators of heart disease risk, according to the National Institutes of Health. The researchers also note that eating avocado helps fight metabolic syndrome, which can reduce hypertension as well as lower the risk for obesity and type 2 diabetes. 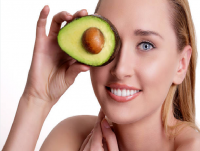 Most studies that establish the health benefits of avocado focused on its creamy, mild-flavour meat. But other studies also suggest health benefits from avocado peels, seeds, oil and pits. According to Heart UK, 600,000 men and 600,000 women are living with the after effects of a stroke. Over 1.6 million men and over 1 million women are living with CHD. Overall CVD is estimated to cost the UK economy 19 billion - 46% direct healthcare costs, 34% productivity losses and 20% to informal care of people with CVD. Whether you are predisposed to heart disease or have a healthy, normal heart and just want to keep it that way, following a healthy diet is essential. And adding avocado in your regular diet may greatly protect you from the various health risks that can lead to poor cardiovascular health. The study review was published in the Psychotherapy Research journal.